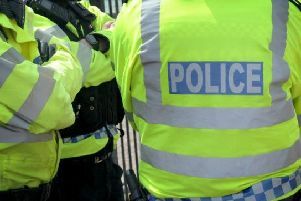 Police are appealing for witnesses after a man made sexually inappropriate comments to an 18-year-old woman in Leamington yesterday. The victim was in Milverton Hill when she was called over by a man in a parked car who made the comments towards her. He has been described as white, in his twenties, of chubby build with brown or ginger hair in a messy style and stubble. The car was a left hand drive, silver estate with a foreign registration plate. Anyone who witnessed the incident, or who has seen a man meeting the description is urged to contact police on 101 quoting incident number 263 of January 12.